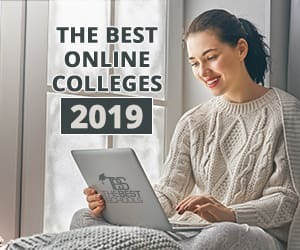 You’ve enjoyed the flexibility and convenience of your online education, and you’ve gotten a lot out of it, including a bunch of college credits, and possibly even an associate’s degree. Probably not; Possibly; Maybe; There’s a Chance; That Depends. Just kidding. Obviously, none of that helps you. But it should give you a sense of just how hazy this whole credit-transferring thing is. Actually, it can be a complete nightmare, especially if your starting point is a less-than-reputable school. Transferring credits from one school to another has always been a thorny process, even before there was such a thing as online education. The diversity of online learning opportunities has only widened the thicket. But we’ll do our best to help you traverse it. Obviously, if you’re completing your online studies, it’s too late to heed this advice. On the other hand, if you’re taking your first steps on your online education path, this is important. Be sure you understand accreditation and you know how to evaluate the accreditation status of the online colleges on your list. Many online colleges are directly affiliated with accredited colleges and universities. Others have achieved accreditation through online course offerings only. In either case, an articulation agreement may be in place with a four-year college. Articulation agreements between online colleges and traditional schools work the same way as those between traditional schools. This agreement establishes a partnership between a two-year program and a four-year school, which streamlines the process of transferring associate’s degree credits to your intended bachelor’s degree program. Transferring between two schools with an articulation agreement could save you a lot of headaches, but it isn’t an absolute requirement. On the other hand, reputable accreditation is a must. An online university must have accreditation through an accreditor that is officially recognized by the Department of Education in order for its students to be eligible for student loans. As you proceed in your search, you’ll find both institutional accreditation and program accreditation. The former refers to school-wide accreditation and the latter refers to the accreditation conferred upon your specific discipline and degree program. The institutional accrediting sector is divided into regional and national accrediting agencies. As a general rule of thumb, regional accrediting agencies carry more credibility and merit. When you’re seeking a college or university, you’ll really be looking for the stamp of approval from one of the major regional accrediting agencies (shown at right). When it comes to national accrediting agencies, reputations vary. In some cases, program-specific accrediting agencies may hold great importance. Some professions and employers will require your degree be conferred by a course of study with program specific national accreditation. And most importantly for your purposes, the credibility of your online college’s accreditation status will have a direct and immediate impact on how many of your credits (if any) will be accepted by your transfer school. The easiest way to determine accreditation status is to contact your online school, or visit the website for any of the above accreditation agencies. Each provides a searchable database of accredited institutions and degree programs. You can also take a look at the Department of Education’s database of all recognized accreditors within its purview. It’s possible that you’re seeking a transfer smack in the middle of a degree program. If you must, that’s your call. But know that completing your current program in its entirety will significantly improve your chances of transferring credits. In other words, a whole associate’s degree is worth a lot more than part of one. The largest segment of transfers consists of students moving from two-year to four-year schools. If you are a part of this population, strongly consider wrapping up on your online associate’ degree first. According to the National Student Clearinghouse, seventy-two percent of students who complete a two-year degree program before moving on will also successfully complete a four-year program. Students who make the jump before completing a two-year program will only earn their bachelor’s degree at a rate of fifty-six percent. Once you’ve committed to a two-year online program, you’ll yield your best results by seeing it through to the end. While you’re there, absorb as much knowledge as you can. You’ll need that foundational knowledge to advance to the next level. Obviously, this is mission number one. And it’s pretty critical to your educational outcomes. Your first step should be to narrow your wishlist of four-year schools to those that will recognize and transfer a significant portion of the credits you’ve already earned. According to a study from the Graduate Center of the City University of New York, community college students who transfer ninety percent or more of their credits are 2.5 times more likely graduate than those who transfer less than fifty percent. In fact, the study confirmed that transfer students are inherently less likely to graduate in the long run than are “native students,” and a major reason for the gap is difficulty transferring credits. Only fifty-eight percent of students, the study finds, move most or all of their credits into a new degree program. A tragic fourteen percent of community college grads will lose everything in a transfer, meaning they start again as freshmen. Many schools have different caps on the maximum number of transfer credits allowed. Some schools award or withhold transfer credits based on the grade you’ve received in a given course. The grade standard will also vary significantly from one school to another. Each school may have specific prerequisites you must have completed to transfer credits. While some courses may seem identical on the surface, schools may dissect course content for parallels before determining whether or not your credits are transferable. Expiration dates may exist for credits earned in the past, which is especially challenging for working adults who are returning to school after time away. Some exam scores that earned you course credit at the associate’s level may not be recognized as credit-worthy by your new institution. When it comes to less traditional educational experiences—from military training and studying abroad to internships and worksite training—every college counts credits differently. This all amounts to a tangled scenario without an easy formula for maximizing your credit potential, meaning you must conduct your due diligence before committing to a school. Call the admissions office at each school on your list and ask where to direct inquiries about credit transfers. Find out each school’s policy regarding all of the scenarios listed above. Ultimately, to ensure sure your credits transfer, seek a college whose policy is compatible with your situation. If your grades were only average, look for a school that doesn’t base transfers on course letter grades. If it’s been a few years since you earned your associate’s degree, look for a school that doesn’t place expiration dates on credits. And of course, if you acquired your degree through an online college, find out everything you can about your prospective school’s policy for handling online transfer credits. Obviously, your best bet is a school that treats a degree from an accredited online college the same way it would treat any other degree. The complexity of the transfer situation is only compounded when you venture into your chosen degree program. While your college of choice may accept a satisfactory number of credits, you will still need to make contact with the department specific to your degree. It’s entirely possible that your credits may apply to your credit total without necessarily applying to your degree program. Typically, an articulation agreement in place likely means the transfer of credits within your degree program will apply. But in the absence of an articulation agreement, you will need to determine whether or not you’ll get all the credit you rightfully earned. Once you’ve determined a college will accept your online credits, next find out if these credits will apply as prerequisites, requirements, and electives toward your major. Contact the department that houses your major and learn what must do to ensure your credits are counted not just by the university but by the program that will sign off on your degree. You can take all of these steps, make sure that all the proper conditions are in place, and still find yourself facing myriad unforeseen bureaucratic hurdles. That’s just an unfortunate reality of securing a transfer. A general rule for getting credits transferred—and for life in general—is that it never hurts to ask. With roughly sixty percent of all students today seeking a transfer at some point in their higher education, schools are taking steps all the time to improve the reliability and efficiency of the credit-transfer process. All that said, some of your credits may not transfer. Maybe you took a rigorous and challenging online course in aeronautics, but your new school doesn’t have a course directly equivalent in content and curriculum. Those credits may not follow you to your new school no matter how hard you worked to earn them. The satisfaction that you accumulated some awesome knowledge may be its only reward. Ultimately, your goal is to maximize your transfer of credits. And while you may hit some bumps along the way, if you follow the advice above, you should substantially reduce the ratio of hassles to successes.